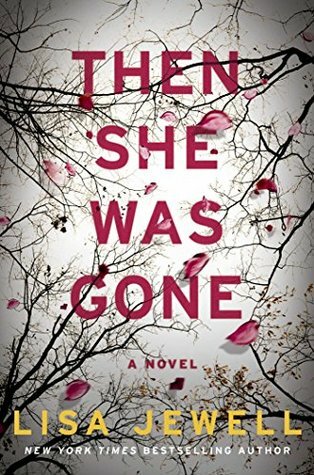 Then She Was Gone will be available 4/24/18. Lisa Jewell does it again. I was so consumed with this story that I finished it in less than 24 hours. Every time I read a book by Lisa Jewell I wonder why I have not read more from her. Her writing is so addictive that I never want to put the book down (and I very rarely did). She effortlessly weaves together past and present timelines and multiple POVs. I love how character-driven her stories are and Then She Was Gone was no exception. The book focuses mainly on Laurel, a woman whose daughter has disappeared many years ago. She does not have a very good relationship with her remaining children and has been separated from her husband for awhile. When she finally gets some closure on the missing Ellie, she meets a charming man and finally begins to get her life back. When she discovers a connection between Ellie’s disappearance and Floyd’s young daughter she begins to investigate to try and figure out what really happened to her daughter. I have to say that I did not find any part of the mystery that mysterious. It did not take me very long at all to figure out what happened to Ellie and how various characters connected to it. I didn’t really care that I wasn’t surprised, though. The play of alternating timelines and how the information was revealed, as well as the character development really made up for any lack of twist. Overall, I really enjoyed Then She Was Gone. Once I started it I never wanted to put it down. I loved the character development and the use of multiple POVs and timelines. Lisa Jewell is such a wonderful writer and I really need to start reading more from her. I love stories like this – I may need to head over to NetGalley! I had the same feelings Stephanie. Hard to put down, Great review! Thank you! It was very addicting, for sure! It’s a sign of good writing when you can’t put the book down even though you know what’s going to happen. The other books I’ve read by her are I Found You and The Girls in the Garden and they were both really good! I totally want to read this one now! It sounds so good! The premise is slightly disturbing, but that’s part of the allure. I think you would probably like it. It was so good! I’m long overdue for book that I don’t want to put down. Adding this to my TBR! Yay! I hope that you end up loving it as much as I did. Your review makes me want to read the book immediately. I’m not a fan of Paula Hawkins (to me, her characters are not likable) but I love everything that Moriarty writes. The book I’m writing now has two POVs, the main male character, and the main female character, so good to know you enjoyed various POVs in Jewell’s book. I hope you end up loving this one as much as I did! And I agree with you on both Paula Hawkins and Liane Moriarity! She is a great writer, I need to try more of her books, her last one was so addictive!!! Her writing is very addictive. I need to go through her backlog that I haven’t read yet.